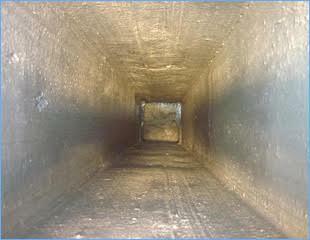 If our chimney professionals determine repairs are needed to your clay flue liners, our sweep will let you know if you will either need a full liner replacement or if your flue is a good candidate for our special Fireguard process for flue liner resurfacing and mortar joint repair. More than 90% of clay flues are eligible for the Fireguard process. In the event your flue is not eligible for the Fireguard process, we would most likely recommend the traditional flue liner replacement. This process is more labor intensive, time-consuming and thus is usually more expensive to perform. 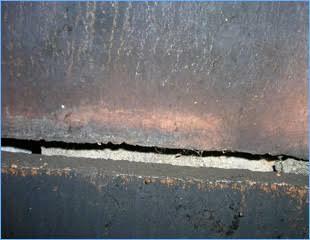 A full liner replacement involves removing the chimney’s cement crown to gain access to the liners. 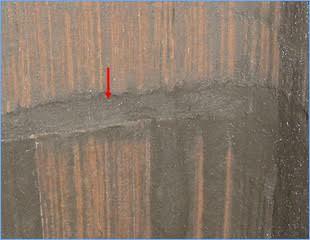 Once the crown is removed, the damaged clay liners are also removed and replaced with new appropriate sized clay liners. New non-combustible reinforcements are constructed, at the top of the chimney, to support a new cement crown. The new cement crown is “poured”, smoothed and chimney cap installed to finish. Of course, our Fireguard resurfacing and mortar joint repair process is less intensive and less time consuming but does require very expensive materials. Our special Fireguard applicators are made to specifically fit your chimney liners’ size to resurface the interior of your chimney’s flue. Fireguard materials have a temperature rating of 3,205*F, which is the highest rating in the industry. NOTE: A rain cap w/ spark arrestor will be required to be installed after the Fireguard process is complete or the Fireguard guarantee will be void. Once the process is complete, instructions will be provided to the customer for the “curing” process and the first week of operation (after the curing period). Fireguard resurfacing products comes with a 25-year limited guarantee and a limited lifetime guarantee on Fireguard mortar joint repair products. The guarantee is for the Fireguard product, that is installed at the specified address, in the masonry chimney indicated, shall be free from defects in materials when servicing residential appliances or an open fireplace and when professionally cleaned & inspected on an annual basis. The maintenance of the Fireguard flue is the responsibility of the homeowner. Dated receipts verifying annual service must be retained. In the event you sell your home, the resurfacing guarantee becomes a ten-year guarantee from the date installed and the mortar joint guarantee becomes a 20-year guarantee from the date installed. The guarantee does not cover damage to Fireguard products that is a result of a chimney creosote fire, foundation settlement, abuse, alteration, or the burning of garbage, railroad ties or other chemically active substances.